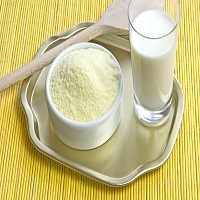 Milk Powder is also known as dried milk which is a manmade dairy product made by vaporizing milk to dryness. Milk powder has alengthier shelf life than liquid milk. Moreover, it need not be stored at a low temperature, due to its low moisture content. There is another purpose of milk powder and it is to reduce its bulk for economy of conveyance. Powdered milk and dairy products contains such items as dry whole milk, dry buttermilk, dry whey products, non-fat dry milk, dry dairy blends. Milk powder is adulterated with toxic bacteria which are very harmful to health.